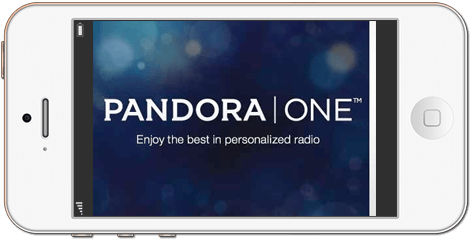 Pandora Internet Radio is a music streaming and automated music recommendation service. The service is available in the United States, Australia and New Zealand. Digital Pandora Gift Cards are a cost-effective and fast reward option. Offer your recipients a choice of rewards with OmniCodes. You can let them choose from Visa and MasterCard products or great national brands like Pandora. OmniCard specializes in employee rewards, sales incentives, marketing promotions, wellness incentives, and much more. Use Pandora gift cards for a successful and memorable rewards program. Buy in bulk using our easy-to-use client web portal or automate the process using our API Platform. The OmniCard Mastercard Reward Card and OmniCard Mastercard Reward Virtual Account are issued by MetaBank®, Member FDIC, pursuant to license by Mastercard International Incorporated. The OmniCard Mastercard Reward Card can be used everywhere Debit Mastercard is accepted. The Mastercard Virtual Account can be redeemed at every internet, mail order, and telephone merchant everywhere Debit Mastercard is accepted. Mastercard is a registered trademark, and the circles design is a trademark of Mastercard International Incorporated. The OmniCard Visa Reward Card and OmniCard Visa Virtual Account are issued by MetaBank®, Member FDIC, pursuant to a license from Visa U.S.A. Inc. The OmniCard Visa Reward Card can be used everywhere Visa debit cards are accepted. The Visa Virtual Account can be redeemed at every Internet, mail order, and telephone merchant everywhere Visa debit cards are accepted. See Cardholder Agreement for card restrictions. The OmniCard Canada Visa Card is issued by Peoples Trust Company pursuant to license from Visa, Inc.
American Express® Business Gift Card is issued by American Express Prepaid Card Management Corporation. American Express® Gift Cheques are issued by American Express Travel Related Services Company, Inc.